It’s been proven that people who have outside motivation are more successful at quitting harmful activities like smoking or overeating. But does being shamed by your doctor for your bad habits have the same effect? 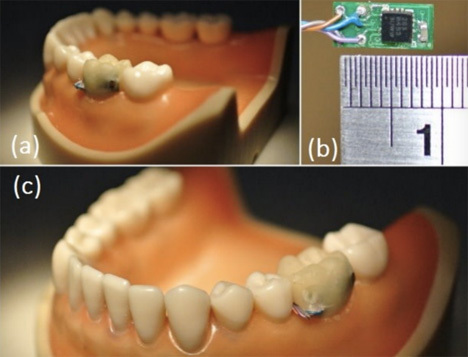 Researchers at the National Taiwan University in Taipei have created an implant that tracks your mouth movements and can differentiate between activities like eating, drinking, coughing, talking, or smoking. 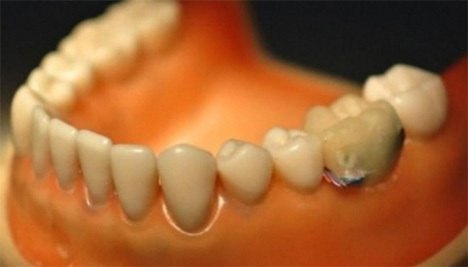 Although it’s only in the very early stages of prototyping, the research team hope to eventually make a version that is wireless and small enough to fit inside a tiny brace on the tooth. The information could be accessed by your doctor or dentist, letting them call you out on your nasty habits like eating a box of Junior Mints, smoking a few cigarettes and then going to bed without brushing your teeth. Not that we’d know anything about that. See more in Weird Science or under Science. August, 2013.